Yes, I can Photography Competition 2016 is being organized to spread awareness regarding Epilepsy disease; it also aims to serve as a ray of hope for the patients suffering from this disease. The photographs should reflect the feeling of Achievement to serve as a motivation to the viewers. Eligibility: Anyone can participate in Yes, I can Photography Competition 2016 without any restriction of age or nationality. Prize: The best images will become a part of International Epilepsy Day exhibition, being organized at European Parliament in Strasbourg during the first week of February. A cash prize of 1000 USD will also be offered to winners. 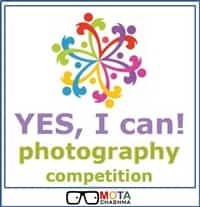 Participation: The entries for the Yes, I can Photography Competition 2016 will be accepted online and the submission needs to be accompanied by personal information of the participant and title and other information related to the photograph. Submission Deadline: The entries for Yes, I can Photography Competition 2016 will be accepted till January 10, 2016. Result: The names of the winners will be announced on International Epilepsy Day i.e. February 08, 2016. Nationality: There is no restriction related to the nationality of the participating candidates. Age: Yes, I can Photography Competition is open for candidates of all ages. Participants younger than 16 years should have written permission from their parents. Exhibition: The best photographs from Yes, I can Photography Competition 2016 will become a part of The International Epilepsy Day Exhibition, to be organized in the European Parliament in Strasbourg from February 1- 5, 2016. Prizes: The winner from each category will get cash prize worth USD 1,000 (Approx. INR 66,000). Photos taken with smartphones or tablets. Photos taken using regular cameras. Hashtag: The photograph must include the hashtag #epilepsyday in some way. Number of Entries: Participants can submit any number of entries for the competition. The photo should reflect “the feeling of achievement”. Any device (i.e. regular camera, phone or tablet) can be used for taking the photograph. Submission: The entries are to be emailed to ‘ibedublin@eircom.net’ along with the details related name, address, age (if under 21 years) and email address. A title of the image (in English) along with information related to the location where the photo was clicked is also required. Result: The result of the competition will be announced on International Epilepsy Day i.e. February 08, 2016.